January is already coming to a close and while in the big picture the year is just getting rolling, we have had a ton of stuff going on this month. We covered a few amazing shows and if you missed them, consider this your recap for the opening month of #TwentyNineScene. This month we caught three amazing tours that we were able to attend and get some show coverage at. In case you missed one of these here is our hot take. The legends in Silverstein kicked off their second leg for their 15-year tour this January of When Broken Is Easily Fixed. Capstan became a band to know real quick on this tour bringing the energy early on and getting the crowd rowdy as an opening band. They have been putting in work over the last year and a half and it REALLY shows. You can check out our chat with them from 2018’s Vans Warped Tour HERE. As Cities Burn and Hawthorne Heights are no strangers and both gave their fans their favorites as well as their new songs which blended well. As Cities Burn brought the energy and sweat while Hawthorne Heights gave everyone feels taking them back to their emo days. Silverstein performed two very high caliber sets, one with the album played in full, and another greatest hits set making sure the crowd was left fully satisfied. Frontman Shane Told busted out the acoustic towards the end and delivered a powerful vocal performance I have yet to see from him up to that point. 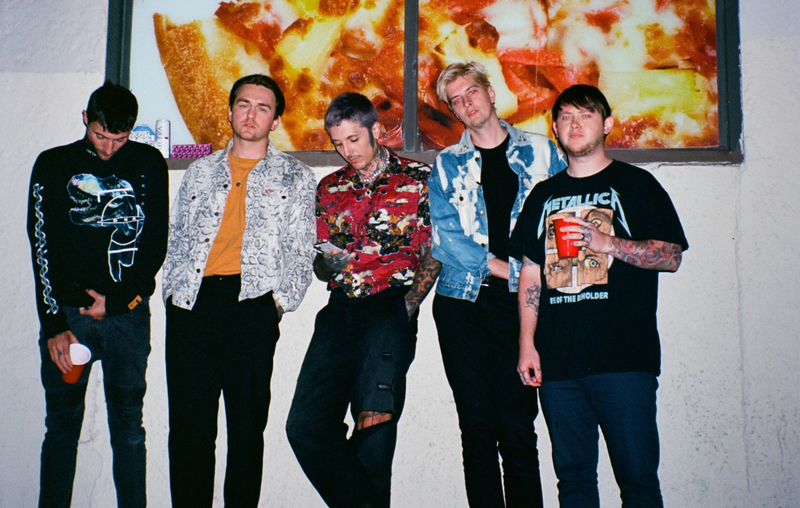 Bring Me The Horizon is currently on tour supporting their new controversial album Amo. We caught the tour in Atlanta, GA which was an earlier stop for the band. This tour for sure was one for the books. As cold as January is, The Fever 333’s Jason Butler was just being Jason going all over the stage and climbing up on balconies, no big deal keeping it hot. They brought their brand of nu-metal infused rock sounding bigger than their 3 man band actually is. Thrice played their classics as well as new songs from their 2018 release Palms, mellowing out the crowd before Bring Me The Horizon took the stage. Bring Me The Horizon absolutely proved why they’re getting bigger and bigger every year and every tour. Oli Sykes has never sounded better, hitting notes once unable to reach. For those wondering, yes he still screams and does it well turning Antivist into a heavier song than it really is. The production was phenomenal and the new songs blended well with the older material. Emery began a small run of shows starting in their hometown of Greenville, SC, which was a sold-out show, and the last of January we covered. Along for the ride were metalcore heavyweights Oh, Sleeper and newcomers Forthteller. Forthteller has been making a name for themselves as their brand of ambient metalcore has been resinating with people little by little every day. They definitely won the crowd over this night putting on a passionate performance. Oh, Sleeper was welcomed back into the scene with open arms. They performed one of the best set of their careers with the perfect setlist, mixing in their fan favorites and some new songs of a yet to be determined new record. Stage dives, crowd surfing, and moshing were in full effect. Emery did not disappoint. The band has members in their late 30s and early 40s but they sound just as good as ever in 2019 showing why their longevity and shows continue to draw high numbers of kids. They have yet to fall to the wayside of a nostalgic band and their new offering in 2018, Eve, showed that as well as playing those songs live. It was a treat to finally hear some of those songs brought to life with some of the deepest lyrics yet. Of course, they closed out the show with their legendary iconic song, Walls. KEEPMYSECRETS put on a massive regional rap show this month in Greenville, SC. The RnB/Rapper headlined the show and delivered an insane performance of his hits such as FREESTYLE001, What You’re Thinking (Ft. Darren Young of Brigades), and the single #Vampires. Follow KEEPMYSECRETS on SoundCloud as he is poised to have a massive 2019.